I cried in the shower. It had been a rough day, and I had made a lot of mistakes with the kids. We had been doing so well! What happened? Then it hit me. I had stopped having my quiet time. December was really busy. We traveled, and the kids “got off” their usual schedule. January wasn’t much better. I could list tons of reasons, but I had stopped setting aside time to dwell with him. And on this particular day, I was operating on my own strength and my own measures of patience and grace. And let’s be honest, those storehouses are pretty pathetic compared to the storehouses of grace that flow from him. God’s storehouses of grace are eternal! He re-fills them each day! Here’s the problem: when I stop spending time with God, I stop relying on him to sustain me. The next morning I woke up to re-fill myself in him. 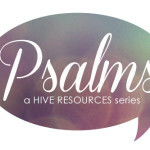 I had committed to read though the Psalms in my 2013 quiet time, and I began by reading Ps. 3. In this Psalm, David is running from his son, Absalom, who is conspiring to kill him and take his throne (2 Sam. 15:1). David is battling family drama, rebellious kids (literally), extreme fatigue, worrisome thoughts, debilitating fear and anger, and probably nursing a whopping case of parental humiliation. But beyond personal duress, David is also wrestling with his growing disfavor among his people (vs. 1), viral rumors about his standing with God (vs. 2), and accusations about the future of his kingdom (vs. 8). 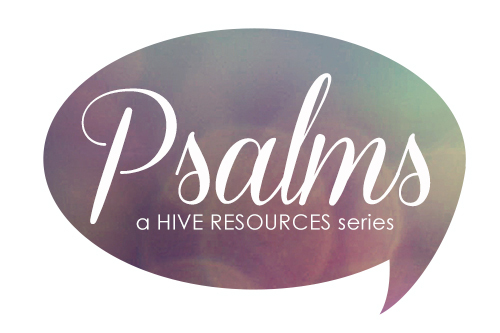 When he penned this psalm, David was probably sleeping out in an open field with one eye open – just in case. But despite his circumstances, David claimed God as his Help! 3) God blesses us with his salvation. Who have set themselves against me all around. Save me, O my God! You have broken the teeth of the ungodly. 8 Salvation belongs to the Lord. David is speaking of two types of salvation – physical salvation from his pursuers and spiritual salvation of his soul. David knew God would protect him. How? Because David knew God was faithful to his promises to create an eternal throne from David’s lineage. God must protect David in order to preserve His promises of spiritual salvation for his people. And indeed, for many of us, God already has extended that spiritual salvation to us! Salvation that comes only through Davidic King, Jesus Christ. David turned to God for help by crying out to him, resting in him, and choosing to believe his promises. Notice verse 6. The original language demonstrates that David’s enemies had encircled him, yet he did not succumb to fear. David trusted in his Helper. As a mom, I often feel like my “enemies” are encircling me – temper tantrums, selfish thoughts, monotony, difficult circumstances, chronic pain, packed schedules, and even expectations. If I’m not careful, they can easily close in and begin to choke out real joy and render me unusable to him. So, when I ask God to help me, I don’t just want to ask God “to do” something for me. I want more than a dose of his supernatural strength, or a little bit more patience, or for him to improve my circumstances by alleviating some of my stress. Yes, those things would be great helps! But they are nothing compared to the one who IS our Help. When I need help, Christ gives me himself. Dear mom, Christ is our help. He is our shield. The One who gives us peace to sleep at night and helps us wake to him in the morning. The One who blesses us with victory in his gift of salvation. Rest in him today the way David did – crying out to God, resting in him to sustain us, and trusting his promises of salvation. Dear Heavenly Father, thank you for being my ‘shield’ by giving me your Son, through whom I have peace of mind – enough peace to sleep & enough peace to face my circumstances. Help me to rest in you today. Help me to praise You. Amen. Derek Kidner, Tyndale Old Testament Commentaries: Psalms 1-72 (Downers Grove; InterVarsity Press, 1973), 70. Yes! and amen. “When I need help, Christ gives me himself.” So simple and so sweet to me. Thanks for digging in and sharing. Oh, this is so good. You have a way of explaining the Word in such a conversational manner and I LOVE it. This is such great encouragement for everyone and I especially love how you applied it to the weary momma! Man was I feeling that way today… sick, yelling, not getting anything accomplished, a baby getting sick and not wanting to sleep, and two boys who looooooove to get on each other’s nerves. (AND I HAD HAD MY QUIET TIME!!!!!!!) Still, that isn’t like a lucky charm that will make everything go well. We must cling to the Savior as you said even when our world is crashing down around us! Thank you for the encouragement! Jessalyn, Girl – I totally hear you! Just having a quiet time is not enough – I can too easily rest in ‘marking’ that off my to-do list. I have remember that the goal of my quiet time is HIM!